Sigma Beauty Blog: Let's Get Precise. It's been almost a year now since we've launched one of our most popular brush kits: the Synthetic Precision Kit. With its unique design made to mimic that of your fingertips, there is never a need to apply makeup with your fingers. Find out why this kit stands out as a best-seller -- but more importantly -- why you shouldn't go another day without it! The Synthetic Precision Kit is available in either a 4-piece or 5-piece (new!) set. There is also the option of buying each brush individually if you're interested in just a few specific ones. Now let's get down to the details of these versatile top-performers! P80 - Precision Flat: The flat top of this brush works wonders for stippling concealer onto small imperfections such as sun spots, dark under-eye circles, and blemishes. It can also be used to blend out any harch lines on the face made from contouring powder, for example. P82 - Precision Round: Identical to that of a fingertip, the P82 comes in handy for a wide range of tasks: applying eye shadow base or primer onto the lid, concealing imperfections, or for smoothing and blending out harsh eye shadow lines. P84 - Precision Angled: The small angle of the P84 is best for applying product onto areas such as the sides of the nose and the hollows of the cheek for precise contouring. It is also doubles as a great highlighter tool for areas like the brow bone and cupid's bow. P88 - Precision Flat Angled: The newest addition to the precision collection, this brush is is great for application of concealer products anywhere on the face, particularly around the eyes and nose -- definitely an essential for covering up dark undereye circles and redness around the nose! All in all, we encourage you to get your fingers off your face and your hands on this kit instead when it comes to applying your makeup! 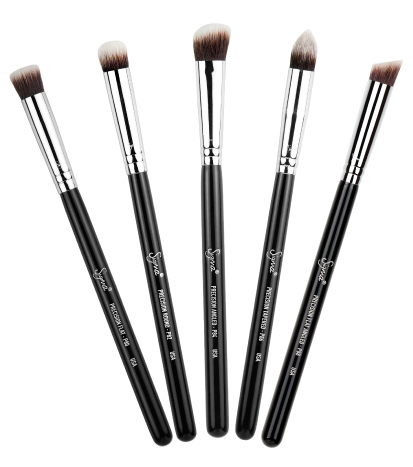 We'd love to have you weigh in on which of the five precision brushes is your favorite! want to try this so bad, heard such great things about these brushes on youtube. They are indeed great brushes! :) We hope you'll give them a try! Want want and WANT! Trying not to be too afraid of buying on-line. This brushes will be mine soon! I swear! OMG! These are essentials! 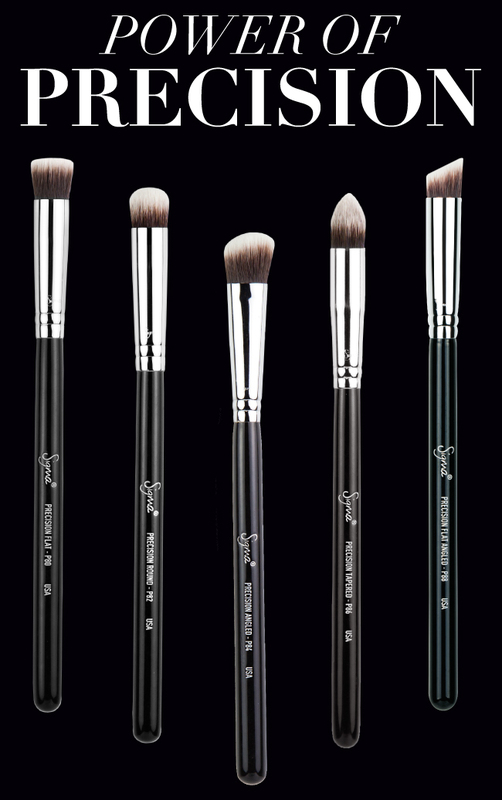 I wish I could feel how marvelous Sigma brushes are! Sigma brushes are the best! I will NEVER use another kind again. I just got these for my birthday and they are wonderful!! I also have the larger ones for the face too! (I believe the name is synthetic brush face kit or something) No disappointments from Sigma EVER!!! I absolutely love these.. Purchased mine a few weeks ago and use them daily to apply and blend emollient products. Thinking of purchasing a couple more kits for my professional m/u kit. Sigma has never disappointed me. I also own the large synthetic set as well!! I want it all!!!!! What a dream!!!!! Absolutely in love with SIGMA!!! !